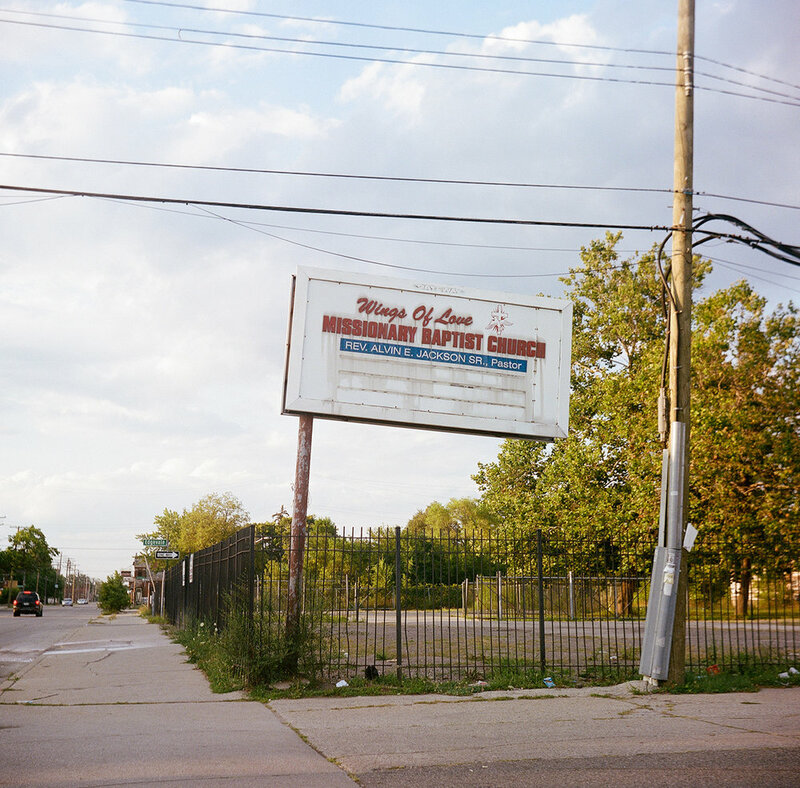 In post-industrial cities such as Detroit, junkscapes are synonymous with the urban landscape. These spaces are human created and leftovers of once prosperous industries, now no longer functional. 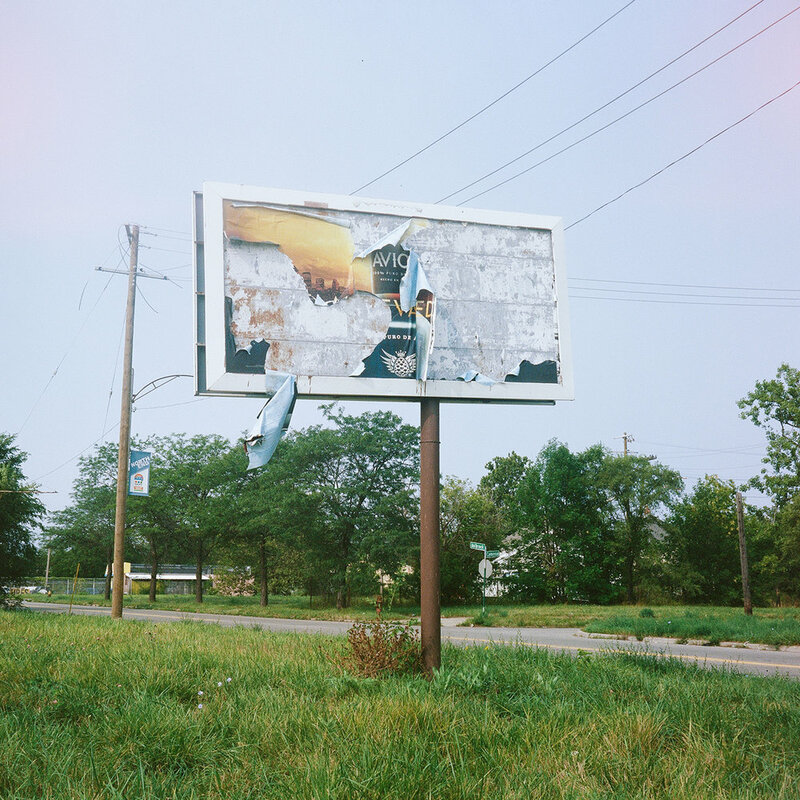 Inherent to junkscapes is also the idea of potential - a place that now lies dormant can and should be seen as awaiting reactivation through some kind of new, creative use. 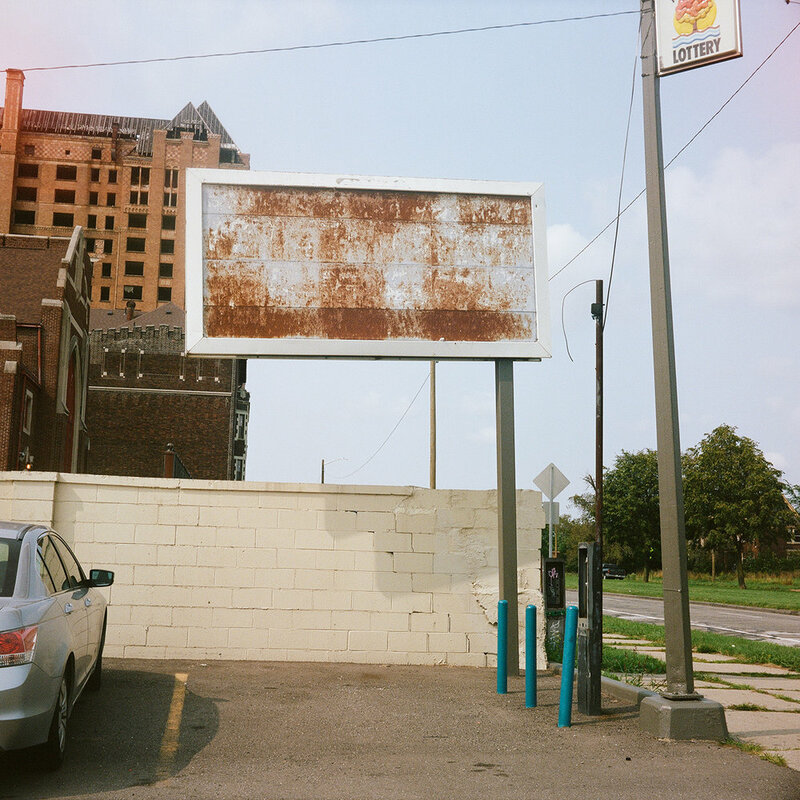 GATEWAY: Ghost Boards of Detroit is a investigative photo research project that seeks to chart and document one type of junkscape - specific billboards around the city. 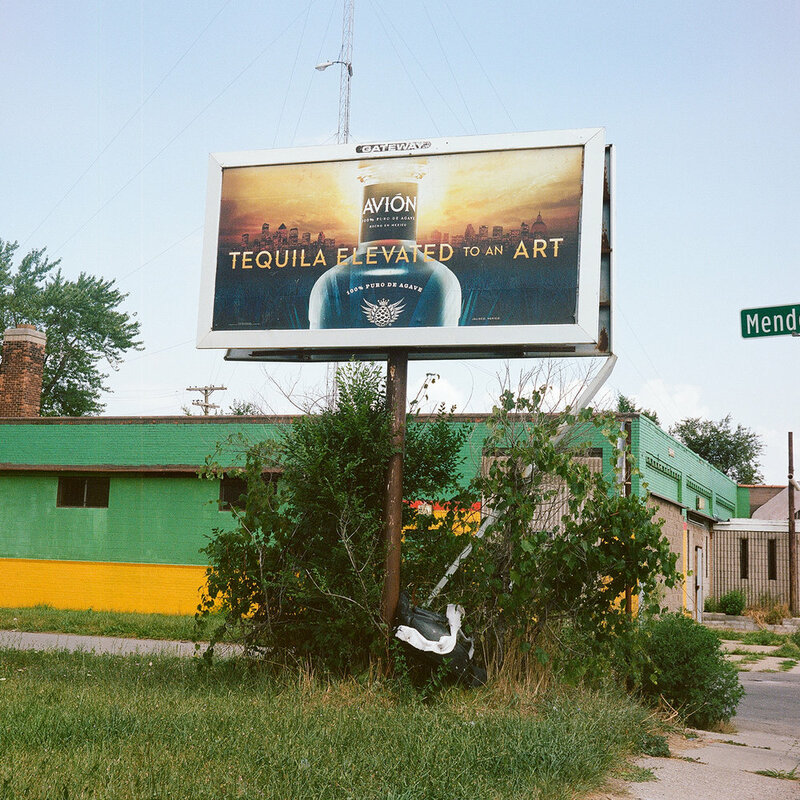 The various use, misuse, and disregard of the billboards is a barometer of disinvestment and development, a small-scale metric for larger social and economic changes happening in Detroit. A small collection of the growing archive is shown here. 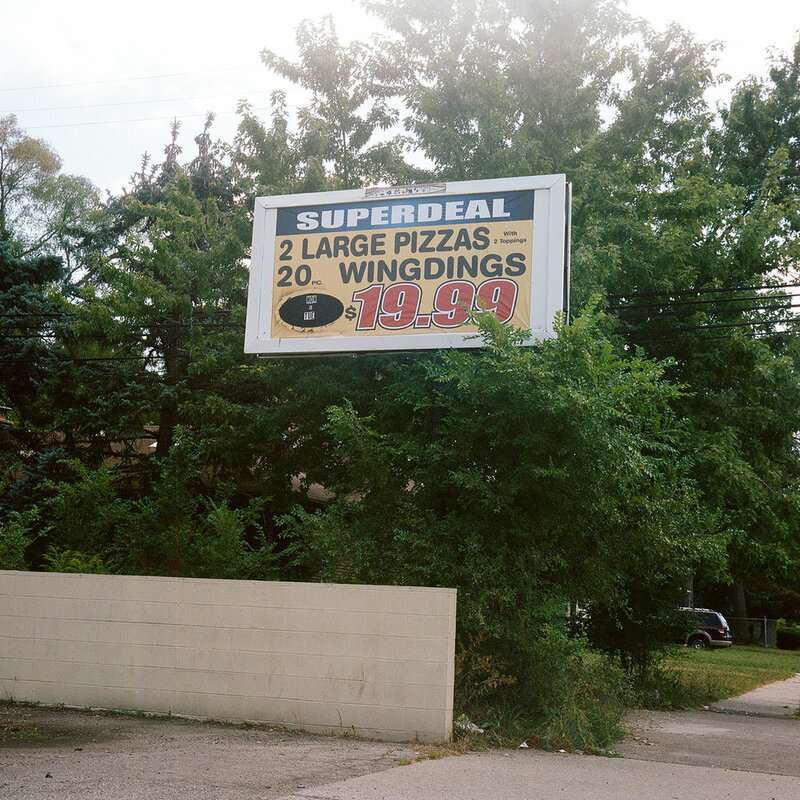 All images are shot on 120 film. 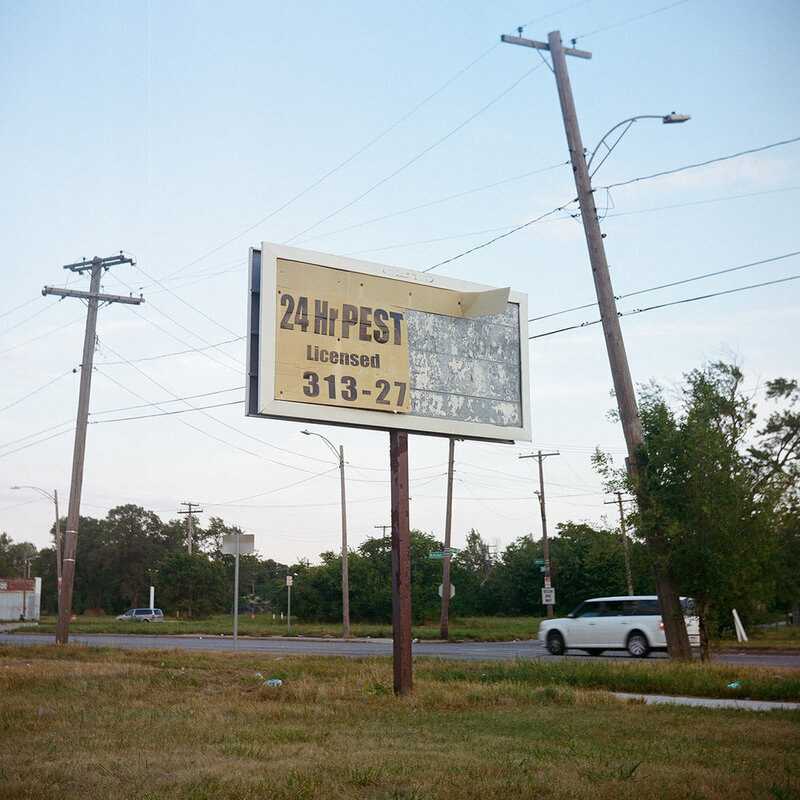 A series of images was printed and published in 2017 by Furrawn Press.